Choose option below . . .
For a quick donate, use . . . When a beloved friend (human or animal) passes away, a donation to KPETS allows their memory to carry on. Your donation will be acknowledged by a memorial card sent to the family, notifying them that a donation was made in honor of their loved one. Donate in honor of a beloved person or pet, to celebrate a birthday, thank a colleague, or to simply let someone know they are in your thoughts. KPETS will gladly acknowledge your generosity with a personalized honorarium card. 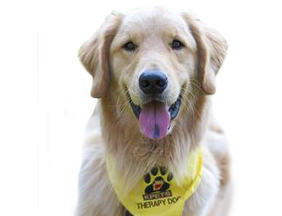 KPETS is a network of registered volunteer teams who partner with their companion animal(s) to provide comfort, encouragement and rehabilitation through human/animal interactions. There are various level opportunities through our Pawprint sponsorships. Click here to see our current levels and sponsors. Some have volunteered to do “Third Party Fundraisers for KPETS. Ex: A co-worker had a birthday party and instead of gifts, requested donations to be made to KPETS. One volunteer did a holiday luminary project – selling hundreds of luminaries to light up their neighborhood one night over the Christmas season. Some have done golf tournaments. Ideas are only limited by our imaginations! now to start donating 3-30% of every purchase to KPETS while you shop online at places like Kmart (6%), JC Penney (3%), and Lowe’s (4%) and many more! The official registration and financial information of “KPETS – Keystone Pet-Enhanced Therapy Services” may be obtained from the Pennsylvania Department of State by calling toll-free, 1-800-732-0999 (within PA). Registration does not imply endorsement.